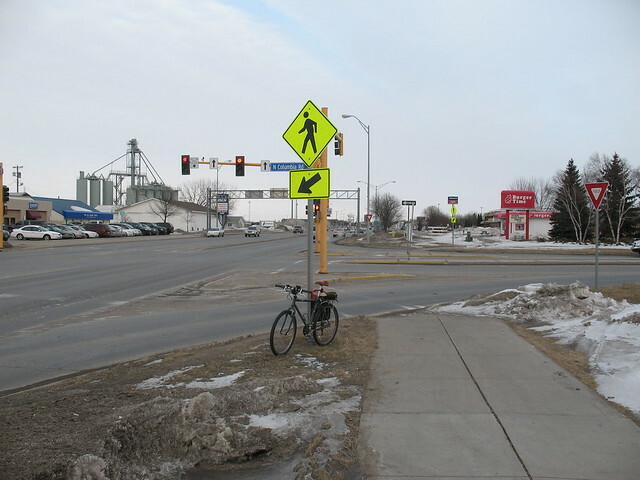 Trying to keep the words to a minimum, but here is an intersection in Grand Forks that I find particularly worrisome, especially for people to whom cycling/commuting is new. 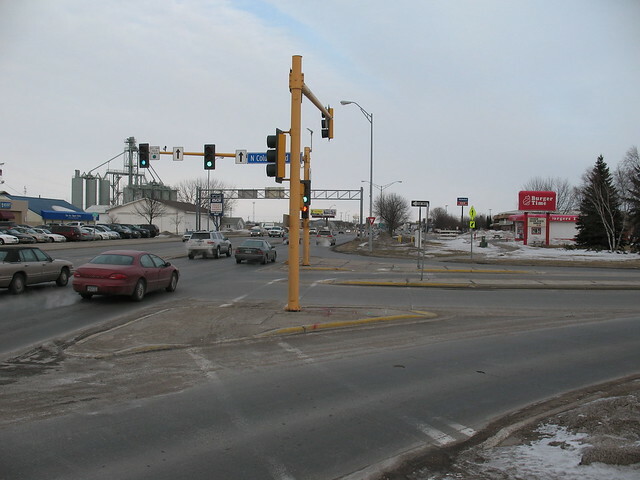 This crossing is the primary avenue between the University of North Dakota (to the north) and points to the southeast. The protected sidewalk on the S. Columbia Rd. 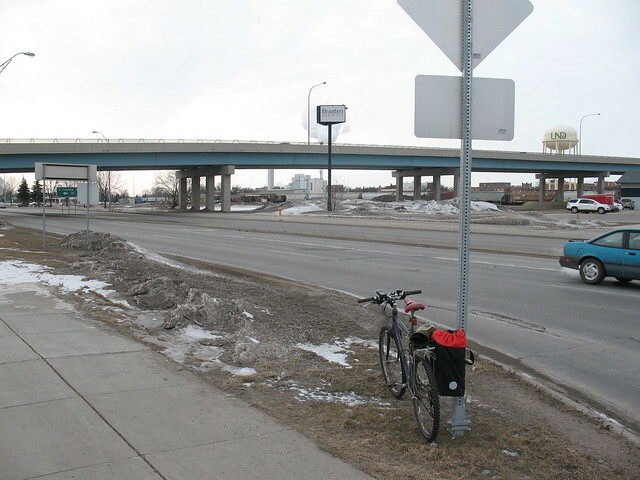 overpass is used by riders because the traffic on the often exceeds 35 mph and people are not used to cyclists. See map at bottom of post. Most problematic: drivers merging onto the northbound onramp and off the southbound offramp. 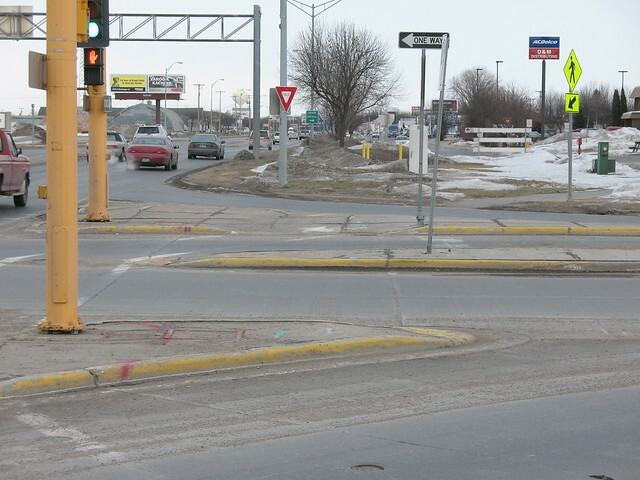 They do not expect to stop because all they have is a yield sign. Drivers merging on are especially dangerous because they have little need to yield most of the time, and see little reason in signaling. Suggested solution: Unsure. Would be nice to straighten out the crossing (will have to take a photo now that it’s snowed again) to make it easier for people on the path, but something needs to be done to prevent merging drivers from running into riders and drivers stopped at the red light from stopping in front of the pedestrian cutout ramps (on the crosswalk). Total time on this post: 46 minutes.